■ HUD and FEMA's "License to kill" code violations present Carbon Monoxide poisonings in all* Manufactured and Mobile Homes (except Electric Heated units)! ■ NFPA, CPSC, HHS and Medicine allow for millions of Carbon Monoxide poisoning injuries and deaths through Industry and DC collaborated profit-over-cost response guidelines and diagnostics protocols! ■ Hurricane Sandy victims or survivors are at highest "CO" poisoning risk now! Individuals or families living (or working) in Manufactured or Mobile Homes go to my condensed, easier to read site: GassingAmerica.com. If you have already been there and are ready for hard detail, continue reading this page! Then return here and continue reading this page! Then return here and continue reading this page (as your precious time, otherwise consumed in service, permits)! All Manufactured and Mobile Home (or portable housing or office units) sold after 15 June 1976 violate ICC, IRC, ASHRAE, heating and ventilation code (specifically in combustion provided Gas, Propane, Oil, Automated Coal or Wood fueled heating). And by extension all units violate OSHA, NIOSH and EPA interior air quality requirements and standards for safe and healthy interior breathing air! Read on and learn! See an easy "5¢" Instantly Life-Saving do-it-yourself-fix, temporary solution suggestion on our "Temporary Solutions" page! The core failure in this National poisoning problem -- affecting far more of us than just the specific groups or individual victims indicated above -- is in the Washington DC created First Responders guidelines and Medicinal Diagnostic protocols. These flawed guidelines and protocols allow this to happen!!! -- So you or any potential poisoned victim must demand immediate Carbon Monoxide testing of your blood, specifically, the "Carboxyhemoglobin", blood saturation levels evaluation for Carbon Monoxide, which is easily and painlessly done with a "Rad-57" finger-clip sensor (all Fire fighting teams are supposed to carry them) or equivalent blood saturation testing method! or if serious, Hyperbaric treatment and Hospitalization wherever possible! Your life and health depends on it! ■ Less than 3% is OK or "normal" levels, no treatment needed beyond breathing fresh air. ■ Over 3% to 15% indicates exposure and should be treated with 100% oxygen by mask (or nasal tubes). ■ Over 15% they should be hospitalized and given Hyperbaric therapy. Firemen (and medics) should already know this, as they always are supposed to test themselves in working a fire! All manufactured or mobile homes are in violation for CO, if newer than 1976 and heated with gas, propane, oil wood or coal. (Electric heated units should be OK for CO). See easy "5¢" instantly lifesaving self-fix here! All manufactured and mobile homes are generally in violation because of HUD's incompetent management and enforcement -- like the FEMA units of Hurricane Katrina experienced! ■ Carbon Monoxide Alarms: One more, very important point of understanding: Most commercially sold Alarms are not sensitive enough and do not always sound in time to save a fetus, infant, child or you! Now read on - at least to the bottom of the next yellow panel which includes -- finally, after my 4 trips (in 4 yrs) to Washington, personally informing every Senator (100) and key Representatives of the House (70+), the White House and all responsible Agencies -- the CDC (HHS, HUD) admission of violation and the U.S. Government Accountability Office's investigation and report. I further explain and expand upon both the CDC's "admission" and the profoundly gratifying (personally certifying and exonerating) GAO report here! The consequences of living (or working) in Manufactured and Mobile home units, constructed after June 15. 1976 until today, for 17 to 34 million humble Americans, Native Americans, rural Americans (and many more who are undocumented, so are kept "invisible"), FEMA's Hurricane Katrina and now Hurricane Sandy victims, and all other Carbon Monoxide (Formaldehyde, VOCs) victims at risk (and our indictment of HUD [w/FEMA] and their NFPA, HHS, Medical collaborators) is exposed and discussed below. But please, after me having held the needlessly injured or dead in my arms (or laid out on "the cold stainless steel table"), be warned and patiently suffer through my discontent and hard indictment of those responsible for these poisoning cases, and of those who could have prevented it! and now for those same players who could prevent or properly identify and properly treat your poisonings right now and tomorrow, but for the exposure, disclosure and admission of the 33 years worth of millions of injuries and deaths and their liability in it, they won't! So it is up to you to know the problem, then personally act and facilitate the remedy for yourself and those others you love or for whom you care!
. . . Shielded by it since 1976, HUD (& FEMA) has ordered all Contractors to built and distribute some 12+ million Manufactured and Mobile Homes and Portable Business Units, ALL in violation of health safety construction and interior breathing air quality code! -- subtly placing all occupants only three feet from subtle poisoning, illnesses, even death! -- as they (HUD & FEMA) have been, and still are . . .
Gassing America ! ! ! -- specifically, our more humble urban and rural families and individuals, as well as our own African and Native Americans ! < On the roof, where no-one ever thinks to look, through HUD's mandate, the toxic fumes from the Furnace Chimney (and in this floor plans, the adjacent water heater, also) easily drift to and into the "Breathing Air Intake" only 3 feet away (at left)! 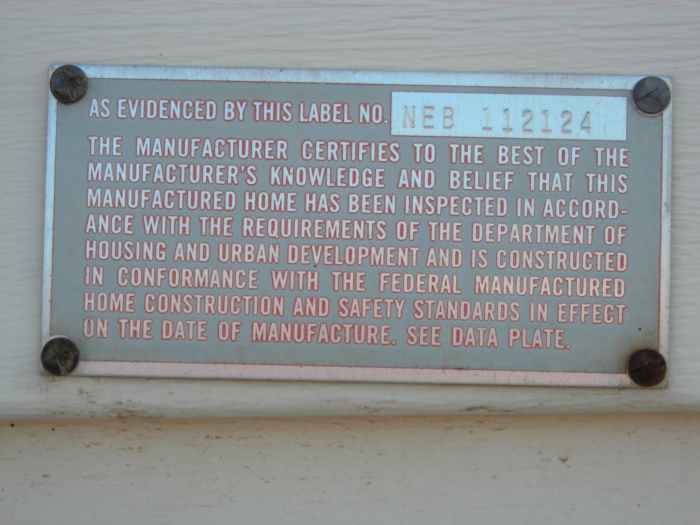 -- while 26 Million legal, trusting, Americans, including our own legal, Hurricane Katrina HUD/FEMA placement victims, and 2 Million legal, trusting Native Americans -- all living with the faith and belief that they are "safe" behind this little Aluminum tag (with its Federal Immunity* from State and local Government inspection and scrutiny) -- are, in fact, living at risk of subtle-to-severe Carbon Monoxide (CO) as well as Formaldehyde (H2CO) and the other combustion produced VOCs, etc. poisoning within these HUD (& FEMA) regulated Manufactured and Mobile homes! -- that is, every Manufactured and Mobile home made since 1976, some even earlier. -- Yet no-one in HUD, FEMA, OSHA, EPA, HHS, (or for Native Americans: BIA, IHS) nor any in the AMA dominated Medical Profession has openly or honestly done the "due diligence", tested for, identified, disclosed or told the victims of their inhaled poisonings or risks! as with our own similarly Bureaucracy and Medically betrayed Hurricane Katrina victims! -- Nor have these same so-called Regulatory Agencies, which were originally implemented "for the social good", nor have the so-called "Health" Professionals of HHS, IHS or Medicine's controlling AMA, including IHS, Pediatric Medicine or CPS -- especially in the case of the more vulnerable infants and toddlers -- taken any steps to properly diagnose, properly treat, provide warning, order corrections or repairs, or initiate redresses for the injuries, debilities, disabilities and deaths which this 33 years of HUD's ordered dangerous combustion exhaust and breathing air venting design has caused among their millions of unsuspecting victims! -- especially fetuses (in-utero), infants, children, and the house-bound infirmed and elderly! ■ By HUD deviating from long established safety codes and common wisdom, and ordering their egregious placement of their breathing-air, aka "Dilution" or "Blend" air intake (the single capped pipe at left in photo) at only three feet from the toxic furnace (and water heating) exhausts (the double capped pipes at the right). . . ALL OCCUPANTS (legal or illegal) have been and still are effectively placed Only Three Feet from Poisoning exhaust fumes illnesses, Injuries, Disabilities and Death while living (visiting or working) inside HUD's (transportable or permanent) "Toxic Hell" -- specifically in all Combustion Heated Manufactured and Mobile homes, which have been produced in the last three decades since June 15, 1976 when HUD took over all regulatory power over the entire Manufactured and Mobile Housing production Industry! -- and the Medicine controlling AMA, HHS (and IHS) in the same period -- without common biological sense or reason -- dropped Carbon Monoxide (as well as Formaldehyde and other toxic combustion and construction VOCs) testing from medicine's "Best Practices" or Standard Diagnostic Protocols -- except for the obvious Industrial site poisoning situations! -- Why is there not the same Medicine's or "First Responder's" diligence in diagnoses for these thousands of "at home" domestic poisonings too??? -- Misdiagnoses in these cases perpetuates the poisoning's malaise and repeating erroneous treatments, so is far more profitable for Medicine (Bureaucracy and the Courts) than a true diagnoses, initiating a one-time correction with its perpetual prevention! 1. Effected with State and Municipality exclusion -- and now with its new population management "Godchild", FEMA -- HUD holds the exclusive Federal Housing control, hence its "License to Hide"
-- and through its multi-committee, multi-reviewed, multi-deliberated, multi-decade violation of health safety code, HUD holds its exclusive Federal Housing "License to Poison", hence its "License to Kill"! -- so that NO State, County, City or Municipality (or Tribal Counsel) has any regulatory (not even any consensual) authority or jurisdiction with-in (the interior), there-on (the exterior), beneath (anchoring, footings, basements or foundations), or above (roofing, venting, air space or air quality above). -- and by default or intent -- still providing the convenient, fully Federally protected, controlled, easily procured and easily positioned, Municipally "hidden", Federal "Sanctuaries" "on wheels" -- with many millions of these units easily serving the human and drug trafficking business-men's housing and warehousing needs -- while HUD continues its exclusive provisioning, regulation and control, including this deliberate risk of asphyxiation in its health-safety violation against the occupants (especially infants) to date!
. . . Read on and learn! > WQRZ - FM 103.5, Waveland Mississippi, others, and on Web 10 May 09, 11 am CST, Tom Rodgers, by Herb "Sarge" Phelps, on "Sunday Morning Coffee with Sarge"
> Republic Magazine 6/3/10 Webinar, last 1/3, Tom Rodgers on with American Free Press' Michael Collins Piper! 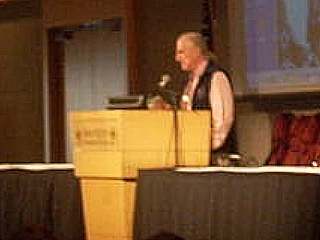 ■ Video: Native American Summit 2010 - Utah Gov Gary Herbert / Lt Gov Greg Bell, 9/1-2/10 w/ my presentation to Utah / Great Basin Tribal Leaderships / Federal / Utah State Officials, Ref: Native American Summit 2010 program (pdf). Encourage similar efforts in your state! > KCPW's Immigration Roundtable Part 1 on 17 Sep 10, Audio; Hear me at time: 1:16:30. > Interview on AbuseFreedomLive 19Sep10. My presentation begins at 73 min (to 179). ■ Protect Yourself and Your Family -- Right Now! -- see a no-cost, simple, do-it-yourself, temporary solution! -- initiated through my disclosure to Congress, CDC, HHS, HUD, in 6 trips total (4 DC, 1 New Orleans, 1 Tulsa) in the last 5 years. -- Recently, the CDC, HUD and HHS in their newest (completed end 2011, available early 2012), "Safety and Health in Manufactured Structures" brochure, finally admit to their life-injuring violation (this preceding link is to 7 key pages). The complete 108 page brochure is available at: CDC.gov/healthyhomes/ > publications > Safety and Health in Manufactured Structures.pdf)! -- as they (HUD, [NFPA, CFED] HHS, IHS) have covered up this 1974 (Kissinger era) contrived, carefully deliberated, made law 15 June 1976, "Federally" enforced human health insult through their deliberate code violation! Then profited and protected their colluding partners, contractors, brokers and money interests, thereby inflicting upon the generally poorer-population, a malaise and mortality intent agenda via their respiratory toxins introduced at the price of millions of Manufactured and Mobile housing occupant victims, especially their developing fetuses, infants, the vulnerable weak, handicapped or disadvantaged, veterans and elderly, and that includes the additional near 10 million un-documented human traffic victims and their children, now for over 33 years! -- instead the AMA, HHS, IHS controlled Medicine "misdiagnosed", convinced, so treated and billed my parents (their sponsors and us) as if they had suffered simultaneous heart failures! -- only to return them to the same poisonous environment of their Manufactured (Mobile) Home which perpetuated their so-called "heart disease" during two winters (until the cold weather changed)! -- Think about it: two individuals suffering the same heart attacks in the same hour??? -- The thousands injured or killed inside those HUD's FEMA trailers after Katrina were likewise betrayed by HHS and manipulated Medicine's cover-up through "Best Practices" effected misdiagnoses or (pressured) silence (see ToxicTrailers.com). Now GSA, HUD, FEMA and their colluding (original no-bid) Contractors are unloading those offensive "Katrina" units upon the Native Americans and the unwitting public. HUD, HHS, IHS, Congress, and their mercenary cronies with them, in this issue, are an insult to honorable professionalism, to our Nation, to the Native Nations and to the humble voiceless multitude of other Americans (and visitors) within, who they claim to protect and serve! Their lying and cover-up (as they did to our Katrina victims) needs to stop! They need to stop stealing our health, happiness, our very lives and our resources, and do what they pretend, ie. "claim" and are well-paid to do! -- Protect you and your families! Contact all of them - HUD, MHCC, NFPA, CFED, HHS, IHS, CDC, Congress, your own State Government and all responsible agencies, including your local MHOAA and all Media, to demand publicity, correction and redress! As of 4 Aug 2012 -- since I have relentlessly persisted in my sacrifice and efforts to expose and demand redress by pressing (in personal face-to-face contact, in DC, 4 times since 30 July 2009) the entire Senate, Congress, the President and all these involved Federal Agencies and NGOs to get correction for the millions of families and individuals living in these HUD regulated units, it appears my voice has not gone unheard. Notice the focused discussion of venting and air quality in the latest (April 2012) conference call meeting of HUD and NFPA's MHCC conference minutes -- including the reference to HUD's violation of ASHRAE's 62.2 venting and IRC, IECC breathing air quality codes. See Minutes of 16 April 2012, MHCC conference call -- Notice statement on page 4 that "This [my disclosure and correction ] proposal was made to MHCC in 2009, since then over 100,000 homes [still ] were built without 62.2 compliance."! -- That 100,000 additional Manufactured Homes built since 2009 translates into some 1/2 million more (HUD-tag) trusting owners or occupants with their infants, children, loved-ones, friends and visitors, all being subjected, through the malfeasant acts of HUD, to [after 4 years fully informed; hence]deliberate perpetual subtle to serious toxic fumes poisoning injuries, illnesses, brain / nerve damage and deaths! -- facilitated with NFPA, HHS and IHS protocol complicity and the consequent total (first responder firemen, paramedics, gas company examiners, Hazmat, etc), medical diagnostic suppression and silence! -- Also initiated by my testimonies and petitions to Senate, Congress, White-House and Agencies in my 4 trips to DC alone, in the last 5 years. Morning of 24 Oct 2012 -- The U.S. Government Accountability Office, GAO, called me moments ago and stated they had finished their initial investigation and report (more is to come). I am exonerated and extremely grateful! Please open GAO.gov, scroll down to 24 Oct 2012 report called Manufactured Housing Standards, it will open to a brief overview. Then click the PDF link (at top) to Full 34 pg Report. Note references to (my) testimony of the "Utah" case (before MHCC July 2009) on page 2, 9 & 10 with my evidence and disclosures to MHCC, the Senate. Executive, Judiciary, Congress and effected Agencies which initiated this investigation and report. Notice on page 10 the (since the late 70's, the deliberate) failure in NFPA (and CPSC) "First Responders" guidelines and in HHS (AMA, IHS) directed Medicine in all States to affirmatively (not) immediately blood-test-for, (nor) immediately clinically diagnose, treat, report and maintain a registry of Carbon Monoxide (as well as Formaldehyde or the other combustion and gluing VOCs) poisoning events in residential and Manufactured or Mobile Home occupant cases -- so HUD claims there is none -- except my case(s) in Utah. And I guess we (Utah) are the only State to have snow deep enough to have thermal or barometric scooping and channeling or covering and cavitating both exhaust and breathing (dilution) air intake vents ultimately together into one single snow cavity (not discussed or factored into this report or in ASHRAE's good, but narrow-input test since they did not assume some professional humility to consult with me, the original source, or review thorough enough or carefully enough, all my evidence, factors, disclosures and data to duplicate (or refute) all possibilities), But even in their basic 3 foot test separation (the HUD mandated standard) ASHRAE obtained 50 ppm CO, and that exceeds OSHA's human exposure limits in a single 8 hour workplace environment as opposed to the 24 hr everyday exposure an infant (who begin injury at 20 ppm), toddler, handicapped or elderly risks in their HUD regulated Manufactured home. 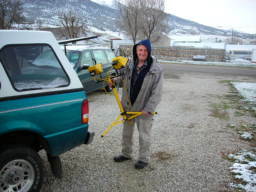 We (in Utah and all frigid-weather States) also deal with our dead quiet cold where carbon-dense exhaust toxins, even if exiting 3 feet or more above current jack heights (~8-18 inches, per HUD), quickly loses its thermal lift and drops back and accumulates at the roof, or snow surface and breathing (dilution) air intake levels and perimeters, to be easily power-drafted in at 30 to 90 cu ft/min. And this per HUD records, only has occurred (my case) in one home, in one city, and only in Utah?-- and only once in 33 yrs? -- So I, GAO, ASHRAE (and OSHA by extension) are insane and HUD (w/FEMA) is not??? -- Tell that HUD contrived no-injury-reported BS to the Katina FEMA Trailer and HUD Park Model Unit placed victims (for who I also testified in New Orleans) with their CO, H2CO, VOC violate glues and construction materials and combustion exhaust (including cooking), (and sewer) gases asphyxiated dead or barely surviving brain or systemic damaged family members! Not one in the Gulf was told of the presence of those Trailer-sourced toxins in their blood or the blood of their dead, -- because they were not serum tested for them (or reported) under their Federal managed Katina-aftermath Medicine. -- That worked perfect to prevent the billions in liable suits that should have been claimed from HUD and FEMA's incompetence and consequent malfeasance! -- and isn't this exactly what this report exposes! -- and this is the same Agency expected to "safely" (thats what their little aluminum tag says) house the "17 million" permanent residents in Manufactured and Mobile homes, or you through a calamity like Katrina again? Have you or anyone you know been unusually ill this Winter? HUD, Federal & your State Bureaucracy may be the cause! The Feds through HUD, the States, their Medical contractors, including CPS, their AGs and their Courts, have allowed conditions for your and your children's harm, then profited from your consequent harm, illnesses, even deaths! The pipe at far left, installed only 3 feet from the furnace flue and precisely in its path of toxic fumes is a Mfd. 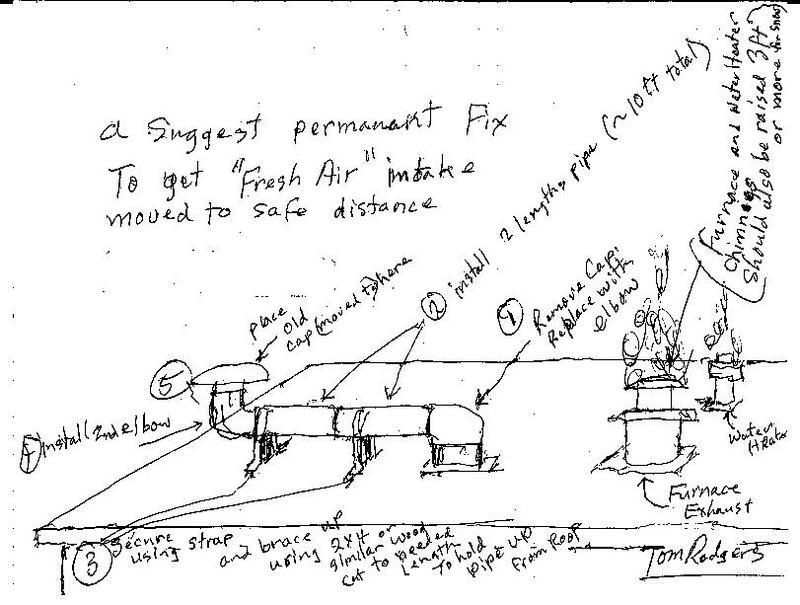 home's Breathing-Air Intake -- as ordered by HUD! -- So you have been placed in harms way by the very Bureaucracy whose oaths and claims are to guarantee your safety and to protect you and your children from the very harm which they have permitted! Then sadly, in many cases, that same Bureaucracy -- which should have protected you and your family! -- instead turns upon you! blames you, threatens, charges or indicts you for the harm, illnesses, even deaths, which their own oversight, incompetence, malfeasance or malice has brought upon you and your children! 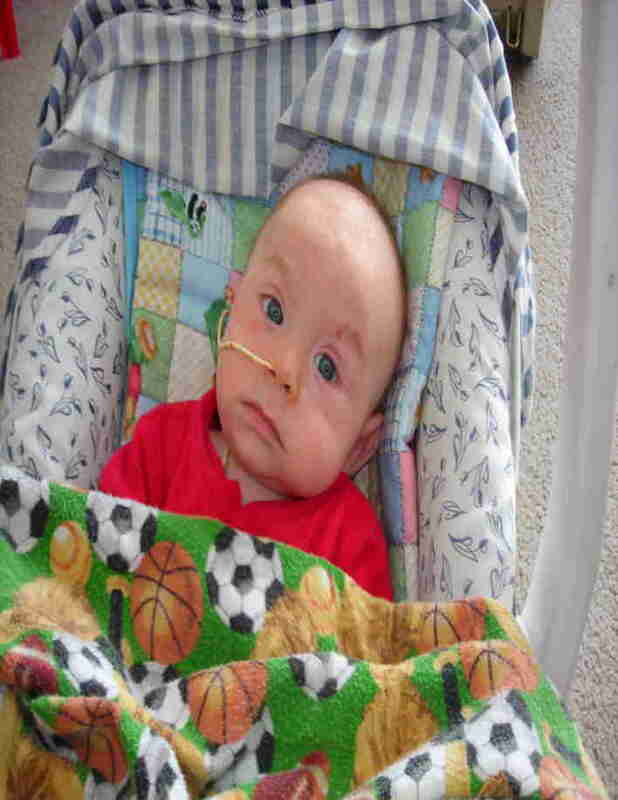 -- just as it has done with this baby Daniel's parents in Manti, Utah! Please check the following questions, see baby Daniel's experience, learn the facts, then demand correction to protect your own family. Do you live in a Combustion Heated HUD (or FEMA) "Certified as Safe" Manufactured or Mobile (Trailer type) Home? Did you or anyone you know have one or more of the following symptoms? Unexplained (chronic) fatigue, bouts of nausea, headaches, appearance of intoxication (without drinking), loss of memory, agitation, flu-like (but without fever) symptoms, rosacea (a red skin blush), purple, pale or jaundice, general weakness, nose-bleeds, coughing spells (sometimes with blood) labored breathing, struggle for air, light headedness, lethargy, fainting spells, listlessness, inability to sleep soundly, loss of appetite, failure to conceive, reduced fertility, reduced virility, miscarriage, birth defects, numerological and physiological fetal damage in pregnancy, unexplainable weight loss or gain, or unusual heart problems: angina, arrhythmia, myocarditis, infarction, etc (all are absolute expressions of CO induced hypoxia). 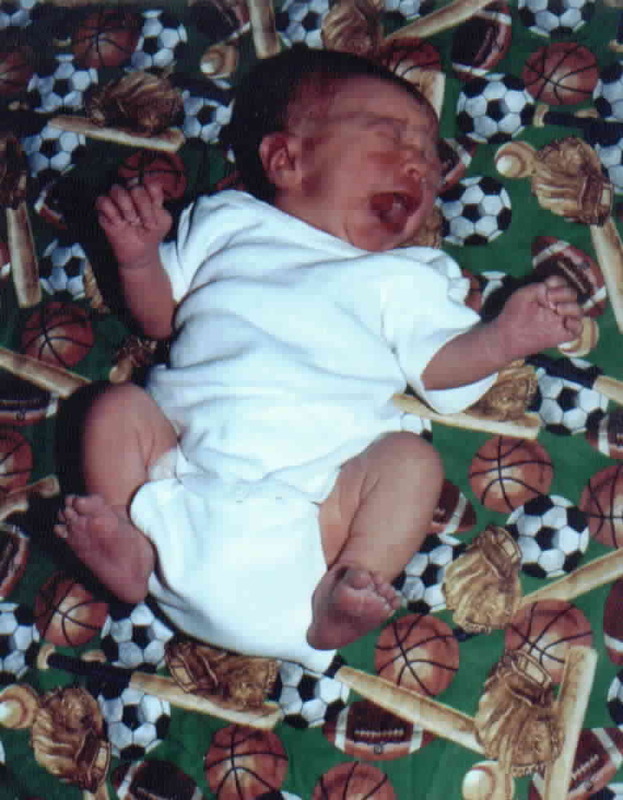 In Infants, any one of the symptoms above (note the facial rosacea, purple feet and hands of infant Daniel in photo), and / or inconsolable crying (indicating headaches), inability to hold food down (nausea), inability to suckle (weakness), failure to thrive, and / or (misdiagnosed) symptoms of malnutrition, leukemia, diabetes, autoimmune, digestive, liver, heart, lung, neurological, endocrine or genetic disorders, etc. to "SIDS" and "crib death'' -- and since long term exposure can cause critical developing tissue (O2 deprivation) failures, membrane (esp. cerebral) and vascular ruptures and associated hemorrhaging (when subdermal: spontaneous bruising), some infant damages or deaths may be wrongly charged off as beatings, assault or "shaken baby syndrome". Did you find any elderly or otherwise infirmed unusually listless, slowed, or unresponsive, where they had been communicative, bright, or active prior? -- Too often Carbon Monoxide victims are mis-diagnosed with heart or lung disease, leukemia, diabetes, malnutrition, vitamin B12 deficiency, depression, endocrine or genetic disorders, etc, etc, etc. even Munchausen by Proxy (it fits easily); then are expensively (futilely, even dangerously) treated into bankruptcy for those, when all that was really needed was a simple $40.00 (Carboxyhemoglobin) test, and prescribed the simple (and cheap) treatment of clean air, clean food and genuine love! -- none for which a Doctor, Hospital, the State, its Bureaucracy or their Lawyers can extravagantly charge and honestly profit! You deserve to know truth and find real cause! -- so you can preserve yourself and your family! 65% of HUD certified homes (spc. manufactured homes and trailers) in the West are occupied by Spanish (usually the low payed farm and unskilled menial labor) families. The next group of occupancy are African Americans (specifically the New Orleans - Katrina victims)! the Native Americans! then the Elderly, Widowed, Veterans, Handicapped, Young and Single Mother Families, Missionaries, Rural Clergy, County, State, and Federal Field Agents, Rangers and Officers, and our selfless Military! -- Yet no-one in HUD, Federal or State Bureaucracy (Medicine and Mainstream Media) has cared enough to warn these families and individuals that some of their Winter illnesses and deaths are a result of this egregious HUD created and State permitted deadly Furnace / Water Heater exhaust / Fresh Air Adder design! -- Why? -- In last 10 minutes of 28 May 08 Radio interview, Utah AG Mark Shurtleff & I discuss this case & this problem. -- in last 30 min of the 3 hour Utah State Legislature's Political Subdivisions Interim Committee Wed 18 Jun 08 Meeting on Affordable Housing, I presented this case as example of HUD Manufactured Housing's Carbon Monoxide (& Formaldehyde) poisoning issue, as exposed herein. See Notice, see Agenda, hear Audio (mp3). "Carbon monoxide is the leading cause of fatal poisoning in the industrialized world, as well as being endemic in many parts of the developing world," says Dr. Joseph Fisher, an anesthesiologist at Toronto General Hospital, University Health Network. "In North America, it results in as many as 70,000 emergency room visits a year and in thousands of deaths. Up to 30 per cent of survivors of severe poisoning are left with disabling psychological and neurological symptoms, which sometimes last for years." Sadly HUD, Federal, State, (even Local Bureaucracies) and Medicine have ignored or deliberately avoided identification, diagnoses, and proper treatment (with simple cheap oxygen and free fresh air thereafter), or to inform and initiate corrections for the Carbon Monoxide poisoning cause; but have instead sent the innocent and uninformed victims back to their toxic homes to be further poisoned, injured, even killed. None of these agencies (who were created, paid for, and claim to have our health interests as their responsibility) have moved to rectify this asinine and deadly HUD regulation. In 11 months, none have even dared challenge -- never testing and publishing their test results -- to even prove us wrong -- but instead have deliberately avoided answer and have even maliciously labored to injure, obstruct and suppress our findings. This Whole Insidious Poisoning Evil! -- experienced by the most humble members of society, Would Stop! -- if the U S Department of Health and Human Services, your own State's Health Department and the American Medical Association would restore the simple, inexpensive. (non-invasive, painless fingertip-clip applied light-spectrometer --"Pulse Carboxi-Oximeter" Carboxyhemoglobin test! --You Must Demand that "Carboxyhemoglobin" blood level evaluation of Carbon Monoxide Test be restored immediately to all emergency diagnostic protocols! Now! ■ See: What you must do to Protect Yourself. -- View our simple suggestions to protect you and your family. 2. Deseret News, SLC Ut. Elaine Jarvik's "In The Air - Carbon Monoxide Crusade: Duo's War Against HUD"
or - "Deseret News, pdf, the original front page and following page layout - as delivered to Congress! 5. Your Mobile Home May Be Poisoning You and Your Family -- What you can do right now to be safe! 6. Legal Americans being left to injury / death to cover-up housing of illegals - HUD, FEMA Kill, HHS covers. .
-- See my (T Rodgers) testimony with others before EPA (FEMA and HUD) Investigative Hearing in New Orleans 3/4/09. Minutes, with my (Thomas L Rodgers) presentation, testimony and discussion references included. -- And my report of following MHCC meeting Mar 28-30, 2010, Tulsa, which I just returned from Sunday. > KTKK Radio Interview, "HUD is Gassing America", Thomas Rodgers on Mark Maxon Show, hr 1 & hr 2! > -- The Court Audio of that Hearing is linked from her commentary so you can know of what Susan speaks. > Letter to the new DCFS Case Worker exposing the fraudulent position of IHC, DCFS, the Assistant AG and Court ! > See published News Article & Update "Conrad Family Takes On State"
> Videos of sweet, happy, healthy baby Daniel taken last Sat. 18 Oct, proving State wrong, but "Clean Air" right! > Court Audio of Oct 21- Judge is presented with facts! so must find in our favor with a full room of observers. > HUD's apathetic answer of Oct 24 after eight month of my ceaseless labors to have them correct their lethal error. > Sad note handed me as Jorge Riveros & I went to meet with Governor's Specialists responsible for housing poor! 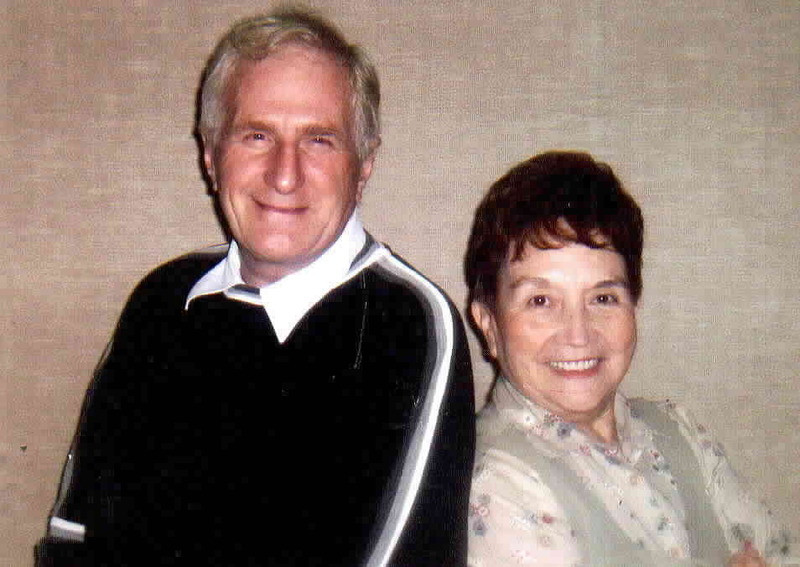 > Monday, 12 Oct 09, 9 - 11 am Mountain Time on KTKK (AM 630 SLC Ut) to the Mills Crenshaw -- show had Thomas L Rodgers (Utah), Jessie Fineran (Miss. ), Becky Gillette (Ark. 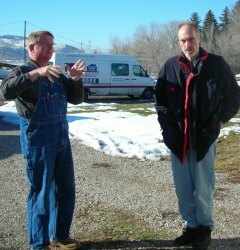 ), Dr Jay Bishop (Utah) and others as they expose the HUD (& FEMA) poisoning malfeasance, causing injuries and deaths to as many as 34 million in the US, which has been kept silent to protect the Federally regulated and supplied housing -- and trafficking of illegals, drugs and other elicit activities of unscrupulous US Businessmen, the Cartels, Bureaucrats and Professionals for profit. -- We also discussed what you must do to help protect the innocent as a consequence of this deadly cover-up! > Executive Order Utah State Gov purposed by Jay Bishop for Thomas Rodgers.doc! also see Feb & Mar 2010 Notes to NCAI and Utah's Gov Herbert with purposed NCAI Resolution and Utah State Governor's Executive Order . -- Thanks! Your attendance, observance and witnessing at this hearing in support of this family, truth and due process compliance, was effective and appreciated! With our truth and your loving support, truth prevailed. To save innocent lives! -- since, after nearly three years of clear notice, HUD, its over-sight committee, your Federal Government, HHS and the AMA, have done nothing to correct their life-injuring error! -- this problem requires the intervention and actions of a loving or sincerely caring neighbor, extended family member, kindly associate or friend -- like you! This harmful, even deadly situation which exists for some 30 million of your neighbors, their infants and families with them, usually can only be identified and mitigated by an observant, clear headed, caring neighbor, associate or friend! -- That is you! -- That is because the occupant victims themselves, specifically the adults in these effected households, are not always able to clearly recognize or understand their own or their family's injuries in their own invisible poisoning! -- And worse, in their subtle states of respired exhaust fumes hypoxia and Carbon Monoxide (CO) intoxication, their reasoning is often markedly impaired -- so their sense of risk, danger, or urgency is made almost always -- even fatally -- compromised to non-existent! -- and they do not easily recognize it! -- And It is not unusual for the affected responsible adults to respond in defensive denial of their own CO diminished mental function, coherence or reason -- even denying any obvious declines in their own clearly visible physical health. This denial is sadly reinforced by Medicine's currently chosen malfeasance in its deliberately set obstructions to do toxic exhaust and CO poisoning diagnoses (as they have done with other VOCs, specifically Formaldehyde with the Katrina Victims), all within their Profession's dictums deliberated to profiteering with more lucrative diagnosis and treatments -- which subsequently predisposes the cycling of the patient back into their uncorrected toxic environment, adding more insult to injury, and perpetuating even more medical dependence, mistreatment, even death -- for profit! -- while HUD, FEMA, the Feds and their Collaborators are left immune from their health code violations and consequent human morbidity and mortality crime! So saving their lives, and the lives of their precious infants or their families living with them, may truly depend only upon genuinely loving, astute, informed and wise, functioning and courageous friends like you -- armed with this truth! What You can do to Prevent Poisoning in Manufactured or Mobile Home units Right Now! -- at least until proper Government or Professional correction is made! 1. Close off HUD's "Dilution Air Intake" - then make sure a window or two is left slightly open. > View a simple, instantly lifesaving "5¢" self-fix (temporary) solution suggestion on our "Temporary Solution" page! As a caring friend please inform your neighbors or relatives who also live (or work) in these same type homes! ■ Another Case of subtle Carbon Monoxide Poisoning! -- But this time its in a "Prestigious" Apartment Complex! -- Could your apartment or home be doing the same to you or your family? Incompetence, Malfeasance, Cheapness coupled with apathy and greed perpetrated another near fatal Toxic Insult! -- For Reese Hogle, I was involved, thankfully in time! 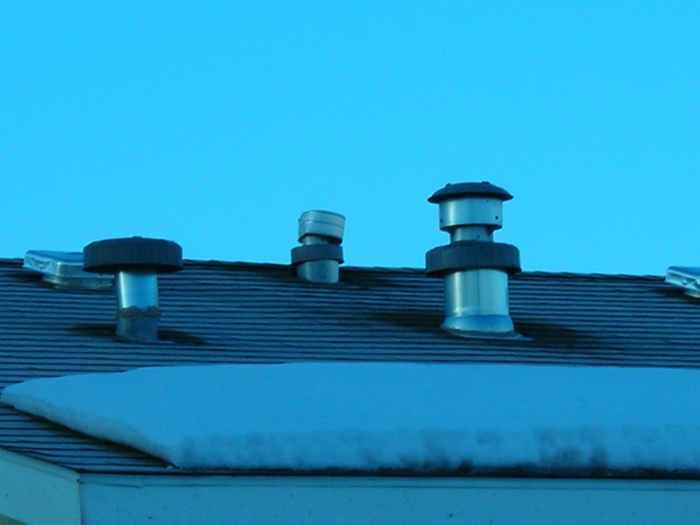 For three years this cheap flange work crudely done in coupling the furnace and water heater to the common chimney, has made the tenant, Reese Hogle, deathly ill, nearly killing him! -- Our question is, what did previous tenants suffer, and like Reese Hogle, were never properly diagnosed, so never understood why? Could your own apartment or home have the same dangerous installation incompetence and be putting you and your family at risk? -- see parts 1, 2, 3, 4, 5, 6, 7 and 8: of "Carbon Monoxide Poisoning of Reese Hogle in Salt Lake City Apartment"
View all, if you can -- at least Part 2: http://www.youtube.com/watch?v=epD1rtOFhjw -- then check your own system! CarbonMonoxideKills.com -- Rob Aiers of Great Britain, excellent site! COHeadquarters.com -- Dr David Penny, comprehensive site. -- On next page learn with more evidence how "HUD is Gassing America" by seeing baby Daniel's experience. As a caring friend please inform your neighbors who also live in these same type homes! Continue To Next Page -- "DanielInTheLionsDen.us"
Another story of dedicated honorable Soldier-Parent: Betrayed! -- An Innocent Child, his honored Soldier-Father; Sgt Paul David Shoemaker and son Ethan! Included there also, for my friends of KTKK Radio, I discussed my own paper: "Vaccines A Price for Flesh"
■ How and Who helps make much of this work happen! I am grateful to Paul, above in photo, (and his wife, Mary) for kindly loaning me his vehicle, which in having to return, I as I was again without transportation -- as this more than 2½ (now 5) years of effort has dearly cost me and my supportive, kind-hearted, indigenous wife, sacrificing with me >> photographed here >>, and my children, ALL of the resources I have had. Thankfully three other dear, kind-hearted friends, Shirley Norsworthy, KK Fowlks and Lynn Johnson have given all they could spare, to make trips possible to DC, Tulsa, to my Katrina Victims and Native American (including NCAI) gatherings. Please, if possible, donate a little to at least help keep these websites open with this lifesaving information and by so doing keep making it available for you and others you may care about and love! -- and maybe also, so I can divert some of my own pennies to fix my 90 Plymouth Voyager again (maybe even fix my own broken dental partial) and hopefully keep my own utilities on which I have put off paying so I could keep the web open, while I struggle to write, meet with officials, the public, and with the victims -- to (hopefully) save 34 million others, including my now dearest Katrina [New Orleans, Mississippi Delta and Gulf Coast] victim friends and my Native American relatives and friends innocent lives! Email: Tom@LifeSave.org or Tom@TomRodgers.org -- but please, if you can, also call me to have me watch for it. DanielInTheLionsDen.us, and is translated into Spanish , Russian and other languages by Alta Vista's BableFish. -- Click desired National flag for its language. ■ Now for original story and discovery, continue at: "DanielInTheLionsDen.us"